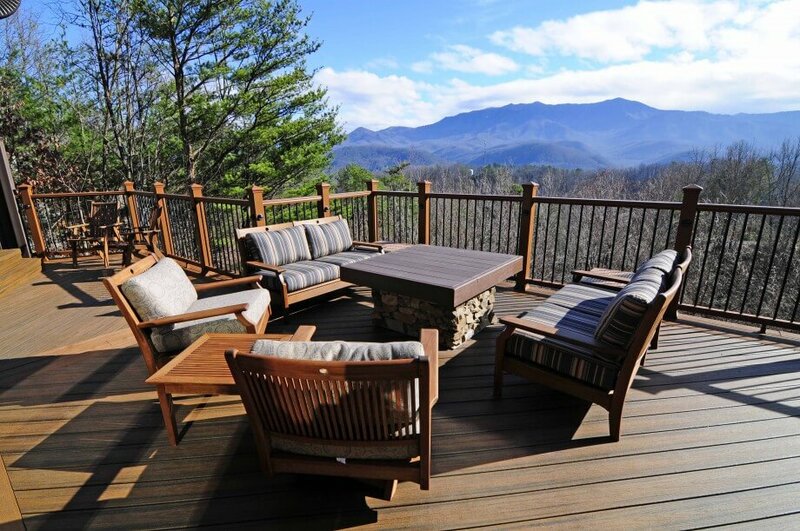 The owners of Rustic Elegance Lodge have perfected every detail of their home for your most excellent, luxurious vacation ever in Gatlinburg, Tennessee. Bedrooms are appointed with the finest and most comfortable bedroom furniture available anywhere. The kitchen, we feel confident in saying, is nothing short of amazing! Because the home is suited for up to 12 people, the kitchen is well appointed to cook for large groups, and we haven’t even gotten to the huge deck and the spectacular grill outside. Even the coffee table in the “Great Room” is inlaid with turquoise and was specially delivered to this home to add to its stunning beauty. 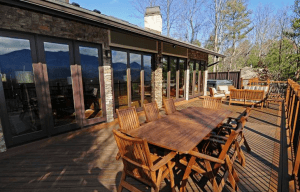 Add in the Great Smoky Mountain National Park as your backdrop and certainly you will know why this home is so elegant and luxurious that you’ll never forget it. We welcome you to experience the best of the best with Rustic Elegance Lodge, located in the Ski Mountain area of Gatlinburg. This home is near Ober Gatlinburg, convenient to Downtown Gatlinburg, Rocky Top Sports World, Ripley’s Aquarium, and even Pigeon Forge attractions such as Dollywood, Dolly’s Splash Country, The Island and more! 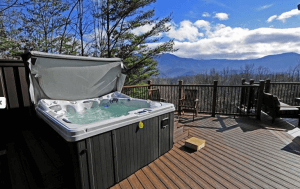 ← Previous Post Where Can We Find a Luxury Cabin For Rent in Gatlinburg?